You might be wondering “How the heck did you manage that?” Well, it’s called light packing and lots of hotel sink laundry. Oh, you weren’t talking about the 2 pairs of underwear for 60+ days were you? You wanted to know how we flew First and Business class for 13 of those 28 flight legs, and how the total cost of all airfare was only $1361 per person??? Hmm, yeah, I suppose that is a bit more of a conundrum isn’t it. After all, most people can’t even get ONE round-trip trans-atlantic, trans-pacific or long haul flight for less than $1500 in ECONOMY, so how in the world could we fly to 9 countries in business and first classes for so little? For those of you new to the site and wondering what travel hacking is, go check out the Beginner’s Guide first. Then, read about how we got started in Travel Hacking, including how we figured out what credit cards and points to start collecting. After all, it was all of that that laid the foundation for this epic trip, made completely possible by travel hacking. I’ll be 100% honest and tell you that this kind of trip was NOT easy to do and beginner travel hackers who haven’t had much experience with booking points flights, understanding zones, or knowing how to take full advantage of things like multi city trips or stopovers would have an extremely difficult time booking this kind of trip. If you are a beginner, PLEASE don’t let that deter you from reading on though because even a newbie can get tons some takeaways here. Also, since you won’t have the same points collected that we do and obviously won’t be doing the exact same itinerary that we did, I want you to use this example as inspiration to get creative when using your points to book tickets using points and miles. You don’t just need to book tickets that get you from Point A to B. I mean, you can, but think of all the destinations, adventures and travel opportunities that you’d be missing out on if you did that!!! So, instead of replicating exactly what we did, use this as a case study and then apply the same principles to maximize your airline miles for your next trip. Finally, before reading further, please note that today’s post isn’t going to go into detail about what stopovers, open-jaws, etc are (You can find my favorite Ultimate Guide on those basic terms HERE). Instead, this is going to be a detailed example of one trip we took that utilized these options for booking award tickets. You’ll notice that some of these programs (US Airways, for example) no longer exist and that the award chart pricing has changed for several programs since our trip was taken. Again, consider these as just details and instead focus on the concepts of using these tips and tricks. Travel Hacking Tip: Use tools, such as FlyerMiler when booking complex trips to get the most up to date award chart information..
Ok, now that we have all the pre-reqs out of the way, let’s dive into the specifics of this once in a lifetime type of trip made possible by points!!! This post may get a bit lengthy simply because I want to walk you through step by step how we created the itinerary of this trip, found flights and were able to travel basically for free all over Southeast Asia and the Pacific. Hang with me though, as there are so many things that anyone from beginner to expert can take away from this example. Travel hacking can be used in a myriad of ways. Of course, if you have a travel goal already in mind, you can start collecting the specific points that you know will get you there. In the case of our two month backpacking trip through Southeast Asia and the Pacific, we took a few different approaches to planning though since we already had points collected across several different airline (and hotel) loyalty programs. 1) Where Do We Want to Go? First, we looked at a map and I scoured my Pinterest Pins for places that looked interesting and/or were locations we’d always wanted to go. We started making a list and checking it twice. Insider Tip: On Pinterest? Get inspired and follow our boards! We have everything from Travel Hacking tips and tricks from some of the best in the industry to pins specific to locations as well to get you inspired for your next adventure! 2) Where Will Our Points Take Us? As you begin to become an expert travel hacker, you’ll learn to collect points across the board in numerous award programs. This will give you substantial flexibility compared to if you just collect with one program. However, if you have points in one or just a few loyalty programs, consider where these points might be able to take you. Look into alliances and transfer partners to see if you can maximize your miles to take you somewhere unexpected! Even though we may have wanted to go to the Maldives, for example, when looking over points options for flights and hotels, we realized it was going to be extremely tricky, hard or near impossible to redeem our points for this location. Therefore, we had to cross a few places off our lists that just didn’t make much sense route-wise or would have been a bigger hassle to logistically figure out than we cared to spend the time doing. 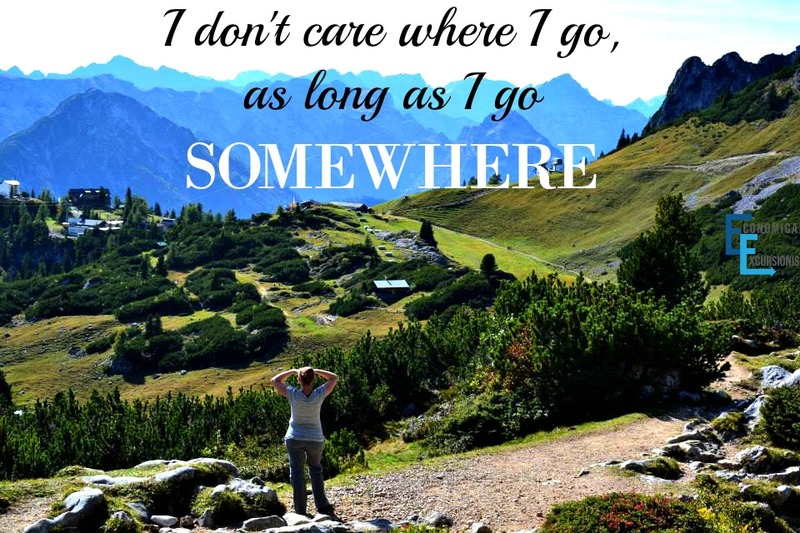 Travel Hacking Tip: Don’t really care where you go, you just want to “go?” Use FlyerMiler.com and find the best routes and usages of your points and just go where the points will take you! After coming up with a skeleton plan of where to go, we started mapping out some of the easier places that our frequent flyer miles would take us to (main hubs, bigger cities, etc). Then, in order to connect the dots between them, we had to fill in a few holes here and there with stopovers, cash flights or other points tickets. For example, Hong Kong had never really been on a top list of travels for me. However, we were going to have to fly in and have a layover there on the way to Australia anyway, so why not make a stopover of it instead and see an entire new city at no extra cost? Travel Hacking Tip: Take advantage of stopovers, layovers, one ways and multi-city routes to add in extra cities at no extra cost and see even more of the world. Now that we basically knew a rough plan of where we might want to go, it was time to start looking at how to use our points. 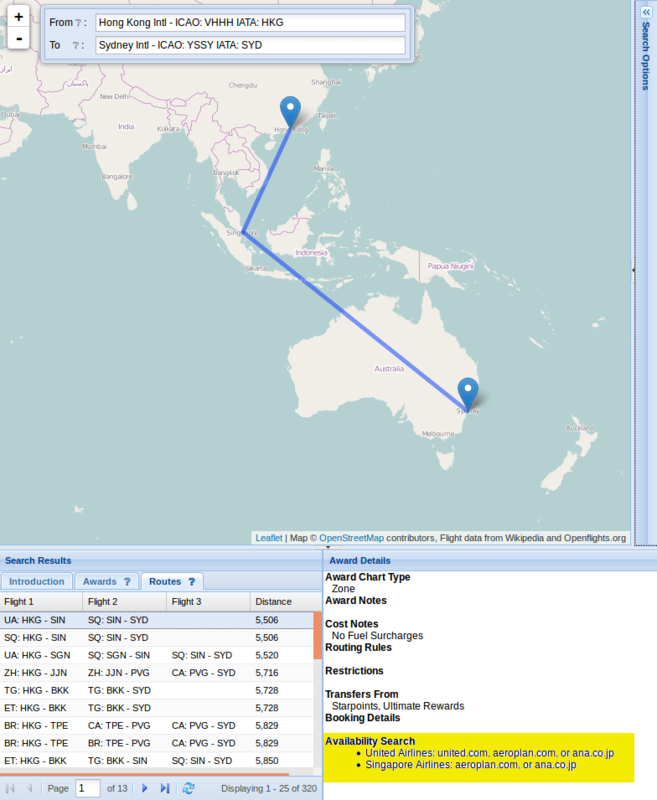 I’ve already mentioned it several times in this post alone, but using FlyerMiler is the best tool to help you figure out the best usage and routes for your points. We used this extensively when trying to get a better grasp on zones and routes that may not be as well known. A great trick is to find one way tickets to a location that is in one zone with a specific award program but in another zone with another program. Therefore, if you are using just one airline mile program for everything, you may be paying “more” in points than what is really needed. India is a good example because it is in the Indian Subcontinent zone for American but it was in the South Asia Zone when US Airways was still around. Using FlyerMiler, we were able to see that it was cheaper to fly into India from Europe with American on a one way and then fly out of India to the rest of Southeast Asia on a US Airways round-trip ticket. Now, obviously, US Airways is no longer around (RIP dear friend!) but this same “rule” still applies with with other airlines, so keep it in mind when booking your next grand adventure! If you are a beginner travel hacker, you absolutely, positively need to know what term like stopovers, open jaws, multi-city routes and round-trip tickets are and how to use them if you want to get the most out of your points and miles. Here’s is one of my favorite guides to understanding some award flight basics. One of the things that I love about travel hacking is that it is possible to get free stopovers with several different airlines and loyalty programs. 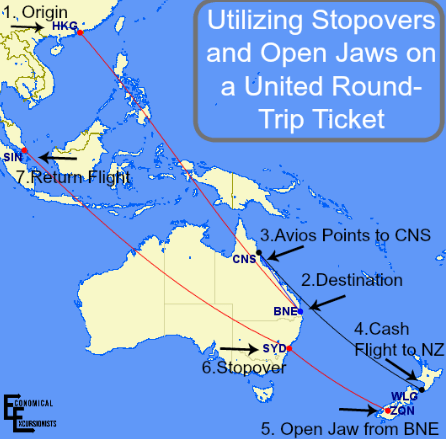 For example, when booking with United, they allow for 1 Stopover and 2 Open Jaws on round-trip tickets. What does this translate to? You can stop in an “extra” location on your way to your destination once, basically adding an entire “destination” for free!!! You can ALSO go into one city and depart from another city (open-jaw) twice- all one one ticket. This is particularly useful when you can utilize budget airlines for cheap airfare to hop to nearby cities and save your points for the flights that are more expensive, like long haul flights. Here is one example of we utilized this on our Asia Trip. To make it slightly easier to understand, I’ve color coded the stops to understand what tickets each leg was booked on. United Round Trip. British Avios Points (one ways). Cash Flights (one ways). For part of our itinerary, we booked a round trip ticket with United. We originated out of Hong Kong and flew to the destination of Brisbane. From New Zealand (remember we had open-jawed there) we flew back to Sydney and used this as our stopover (aka stayed for several days in the city). From Sydney, we completed our round trip flight and ended back to Singapore. Hong Kong to Brisbane. New Zealand to stopover in Sydney. Finish in Singapore. WOAH! Wait a minute, for those of you keeping careful track of that round-trip ticket, you might have noticed that we started in Hong Kong but ended in Singapore. So, how could that have been a round trip ticket!? (remember from above how I said zones will be your ticket to success to travel hacking? Here is just another example of why!) BOOM! Mind. Blown. Travel Hacking Insider Tip: American Airlines does not allow for stopovers, so there isn’t a TON of benefit in booking a round-trip ticket (unless you know there is a chance that you’ll need to cancel or change your ticket, then there would only be one change/cancel fee). Now that you have figured out some amazing routes that stretch your miles as far as they will go, you are ready to start looking at booking your award tickets. Just because you know of some stellar routes, doesn’t mean that they will have award tickets even available for you to redeem your miles for a flight. For example, in the above itinerary where we wanted to get from Australia to New Zealand, there were points options. However, the airliners had little to no award availability to be able to book those points flights. Sadly, as far as our precious time is concerned, there isn’t a really easy way to find award availability without going through a couple select airlines’ websites. This is because airlines like to maintain control of their data and don’t provide an easy way to access that data for apps or tools to pull from, which results in having to physically go to the websites to search for availability. This can result in another time consuming task for travel hackers. There are various methods and beliefs to finding availability. If you are set on a specific itinerary that needs to fall within certain dates, starting to look for availability 9-12 months out (which is typically when airlines open up their award availability) is smart. Depending on the complexity of your trip, you may never have thought this point in the planning process would come! After all that research, piecing together zones and searching for availability it’s finally time to book! However, when you go to do it, you might receive an error message. Instead of feeling discouraged that all that hard work was a waste, take this as a sign that you are a brilliant hacker! You out-smarted the airlines! HUZZAH! This fix is as simple as calling the airline of the originator of your points (NOT the alliance, partner, etc of the actual airline you’ll fly on, since that is not who you are redeeming your points with). The online systems often can’t handle difficult itineraries, but the representatives can. Other times, the online booking systems simply just don’t show all the partners that it is possible to book with. Insider Tip: Just as an FYI, you always book your flights with the airline that you have collected your points with, even if that is not the actual airline that you will be flying on. Insider Tip: Sometimes even the booking representatives don’t know about all the amazing ways to utilize your points! Therefore, have everything ready for them, including the airport codes, flight numbers that have availability, time of said flights, etc and know their stopover, layover and open jaw rules before calling. We used American Airlines points to get both to and from India on one way tickets. We flew on Qatar from Munich to India at the beginning of the trip and on Etihad from India back to Munich at the end. Of those 7 booked with points, 5 were in Business or First Class! Two Tickets were Round-trip, where we maximized stopovers and open jaws resulting in 8 of the cities visited. Sure, it takes time to collect points in so many areas, it takes dedication and organization of ALL your credit cards. It takes dedication to meeting minimum spending, yet spending wisely. However, I would take ALL that work in return for trips to just about anywhere in the world for just dollars a flight! The memories and experiences made through travel is, arguably, worth it all!!! I’m such a newbie when it comes to the science behind flight hacks. Thanks for the comprehensive breakdown! 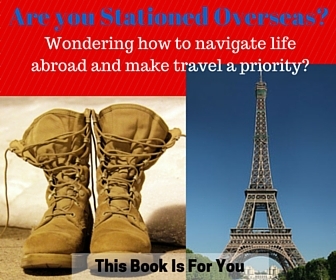 What an excellent resource for travel hack rookies like me! I love the attention to detail and the comprehensive step-by-step instructions in your article. Pinning this one to my air travel board! The concept of zones rocks and the tool FlyerMiler must be investigated! Thanks! Great tips- definitely a LOT of work that goes in to travel hacking. Sorry to hear you didn’t make it to the Maldives (love it there!) but sometimes it’s worth just getting near a place, then paying the extra for the rest of the way- especially in Asia where flights can be very cheap! For those wanting to geek out, yes travel hacking can be a lot of work, but the truth is that for those just wanting an occasional free flight, it’s really really simple. But hey, either way free flights are free flights, right!? It’s incredible how much you guys did using your point wisely! Well done! Thanks! 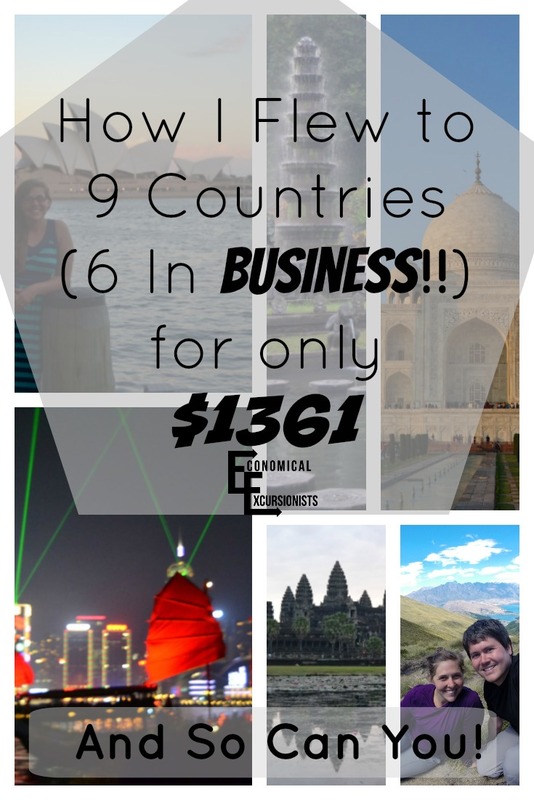 We are pretty fortunate that we can get all the deals since we are from the US, I really do wish more countries did more bc travel hacking has made travel completely financially possible! Travel hacking is the way to go, great tips. Travel Hacking just seems like so much -work-. But, considering how much travel you can do for so very little, it’s worth it in the end. Again, I’m waiting until next year for a built up credit rating before I start this kind of stuff. Lots of helpful stuff here though! Excellent use of miles! Thanks for all the hacking tips! Wow, these are some great tips to save money on the flights. I love you are open to share your hacks! Thanks, Veronika! I love helping others realize that travel can be cheap for them, too!